Start with the wines. 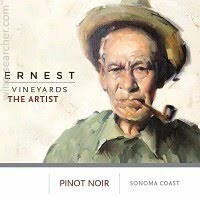 They're earnest: fresh-tasting, balanced, complex Pinot Noirs and Chardonnays from the Sonoma Coast. There's an oil painting on the label of an old man smoking a pipe, and it gives you the impression of a salt-of-the-earth farmer, as do the wines. These are vineyard-driven wines and it seems like they must be made by someone who loves the land. At first glance, the back story doesn't fit. 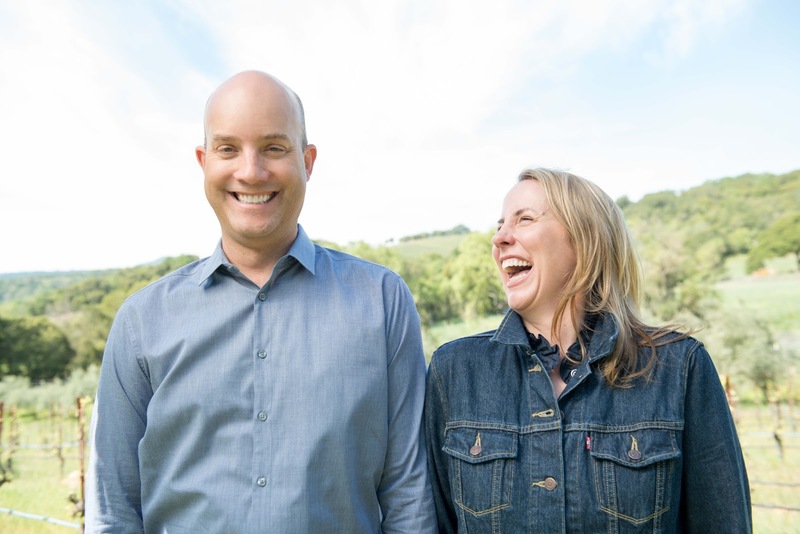 They're tech people, the couple behind Ernest Vineyards. Newcomers to the wine industry. They don't own any vineyards. In fact, they live in San Francisco, from where one still runs a software company. But if you break bread with Todd Gottula and Erin Brooks, you learn the back story fits much better than it seems. They are wine lovers, land lovers and farm lovers, and their wines are a passion project. It was surprisingly hard, over a meal at their favorite local restaurant Bar Agricole, to get them to drink their own wines. Before I arrived, they ordered a grower Champagne. The restaurant's head sommelier, off on a hunting trip, texted the restaurant with a Burgundy the couple just had to try, so they did; we also got a bottle of Rhone wine that way, all of which they had to pay for, and all of which were very distracting from the wines that they brought. But it did give me a feel for how Gottula's wine life changed in the 1990s. "You start in the mid-'90s getting into California Cabs," he said. "Somebody tips you off to a different reality. (Sommelier) Eugenio Jardim said, 'You don't need that Cab, you need Burgundy.' I don't remember the exact wine, but I remember saying, 'This, this is what I want to drink.' I had collected a lot of great California Cabs and I sold them all. I soon found out it wasn't just Burgundy. Rochioli at the time, those wines were unbelievable. I thought, 'You can make this in California.' "
Both Gottula and Brooks spent much of their childhood on farms. "I grew up in the panhandle of West Texas," Brooks says. "My hometown was 600 people. I grew up Republican. I love my family, I respect my heritage, but I was always looking west. I would sit on the porch with my grandma and watch the sunset, looking west. "My mom made unconventional choices in the '60s," Brooks says. "She got married to her high-school sweetheart who my family deplored. She got divorced when I was five." Brooks went to Texas Tech, got an English degree, then followed her dream and moved west. Gottula's grandfather was a Lockheed engineer who owned an 85-acre citrus ranch in Visalia. "I spent my childhood every summer working the ranch," he said. "It wasn't just working the ranch, but having the great time a kid can have on a big piece of property." By the time Gottula and Brooks met, both were divorced and he had a daughter, Edina. "Having a daughter, I wanted to replicate the experience of running around a ranch," Gottula said. "We thought, 'Let's get into the wine business.' But we found out right away that the idea that you're going to buy 10 acres of land with a white picket fence, with a house on it, that is unattainable." 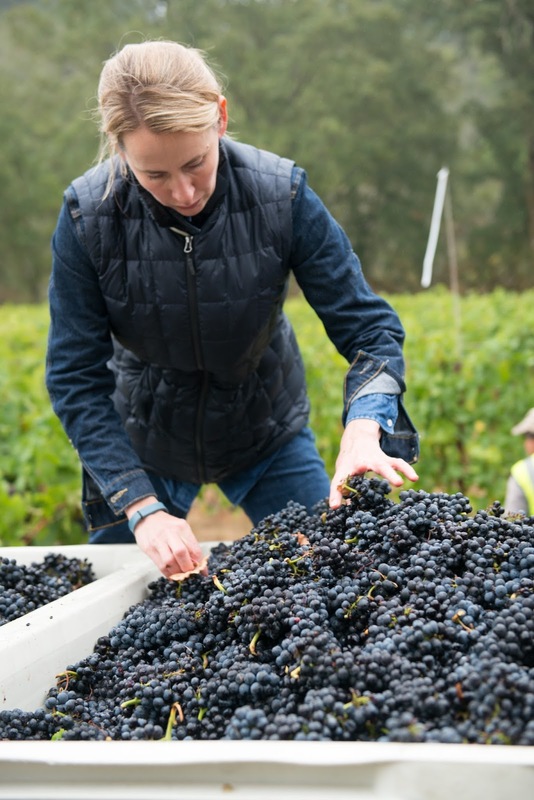 "On the Sonoma Coast, the combination of the marine influence, the cool nights and mornings, the bright sun, you just get the magical expression of Pinot Noir and Chardonnay that's inspiring," Gottula said. "Burgundy has had 2000 years to find the best expression of Pinot Noir and Chardonnay. We have the ability to do that on the Sonoma Coast. To put something in the glass that people say, 'That is inspiring. That is amazing. That is what I want to drink every day.' "
The couple found an important ally early: organic farming pioneer Phil Coturri. "When you first get into wine and you don't have vineyards, the biggest question is, where do you get vineyards?" Gottula said. "Phil Coturri recommended a site that had been overcropped. It's nearly impossible even if you have unlimited funds to work with the best sites on the Sonoma Coast when you're starting out. William Rayhill planted 20 years ago in an attempt to make a big, rich Pinot Noir. The site is really too marginal for that style. People started leaving that site. We started taking the vineyard where it wants to go: harvested much earlier, much lower crop load." They began with 900 cases in 2012 and by last year were up to nearly 3000 cases with three labels: Ernest, for single-vineyard Pinot Noirs and Chardonnays; Edaphos, for small lots of wines they find interesting, like an Aligoté and a Barbera from Sonoma County; and Eugenia, for rosé. But I recommend checking out any of their wines, if you see one on a restaurant wine list. So many people want to make Pinot Noir and Chardonnay in California. This couple does it with respect for the land. If you don't own a Pinot Noir vineyard, you can be a real outlier and go this route . . .
"Local Food Provider Got Produce? Announces the Start of Hydroponic Wine Grape Research Trials"